Ex 6.1,8	A balloon, which always remains spherical on inflation, is being inflated by pumping in 900 cubic centimeters of gas per second. 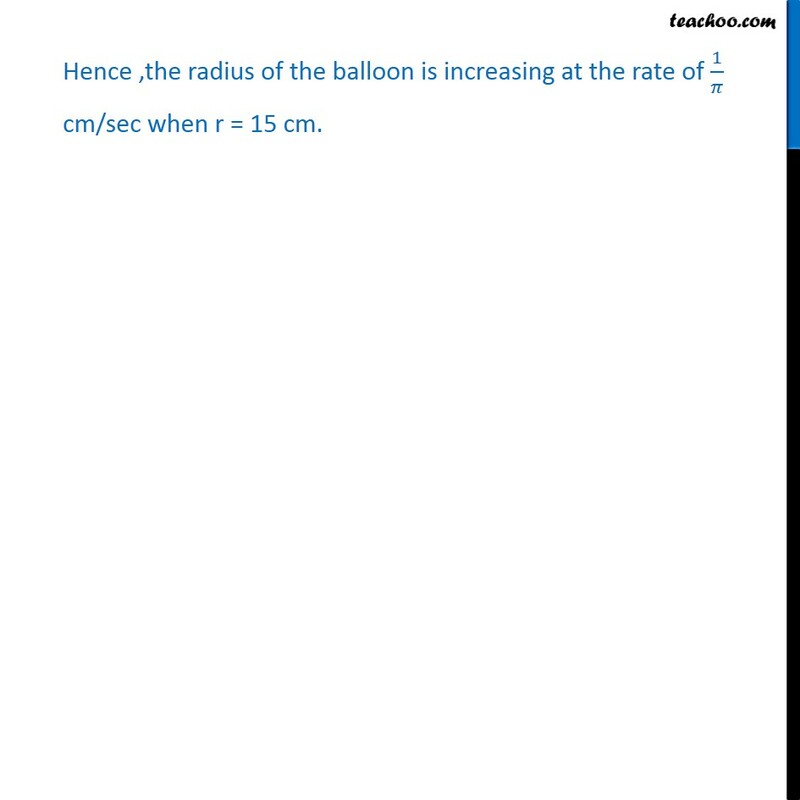 Find the rate at which the radius of the balloon increases when the radius is 15 cm. Balloon is spherical Let r be the radius of spherical balloon . 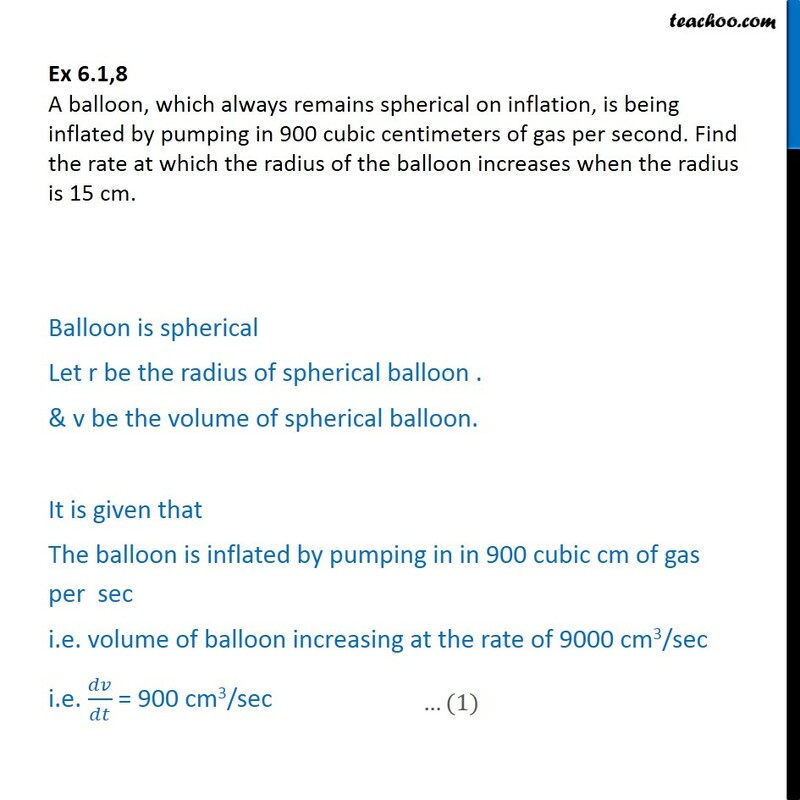 & v be the volume of spherical balloon. It is given that The balloon is inflated by pumping in in 900 cubic cm of gas per sec i.e. volume of balloon increasing at the rate of 9000 cm3/sec i.e. 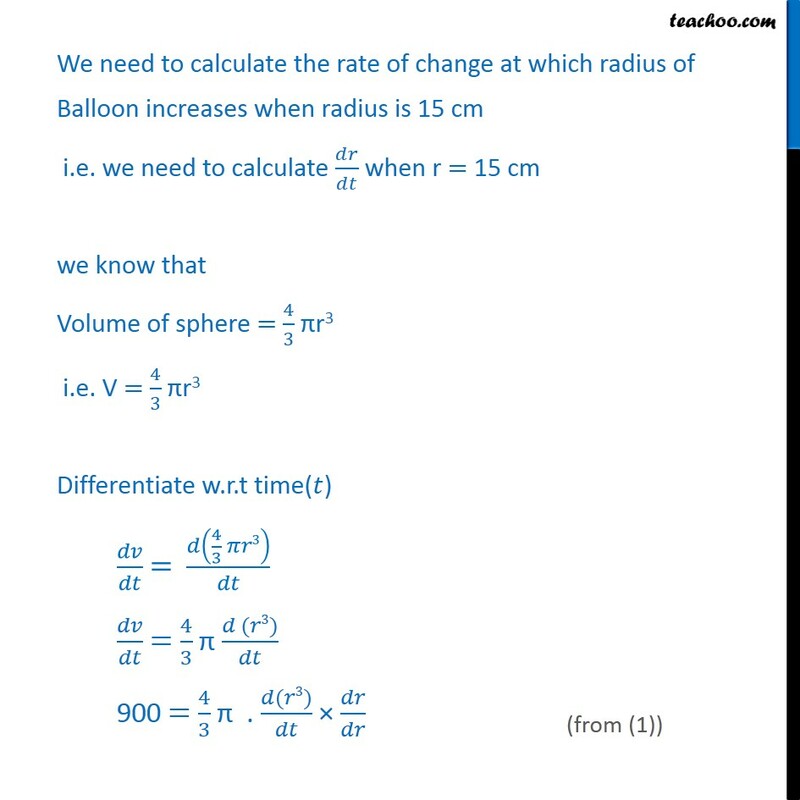 = 900 cm3/sec We need to calculate the rate of change at which radius of Balloon increases when radius is 15 cm i.e. we need to calculate when r = 15 cm we know that Volume of sphere = 4 3 r3 i.e. V = 4 3 r3 Differentiate w.r.t time( ) = 4 3 3 = 4 3 ( 3) 900 = 4 3 . ( 3) 900 = 4 3 . ( 3) 900 = 4 3 . 3r2 . 900 = 4 r2 . 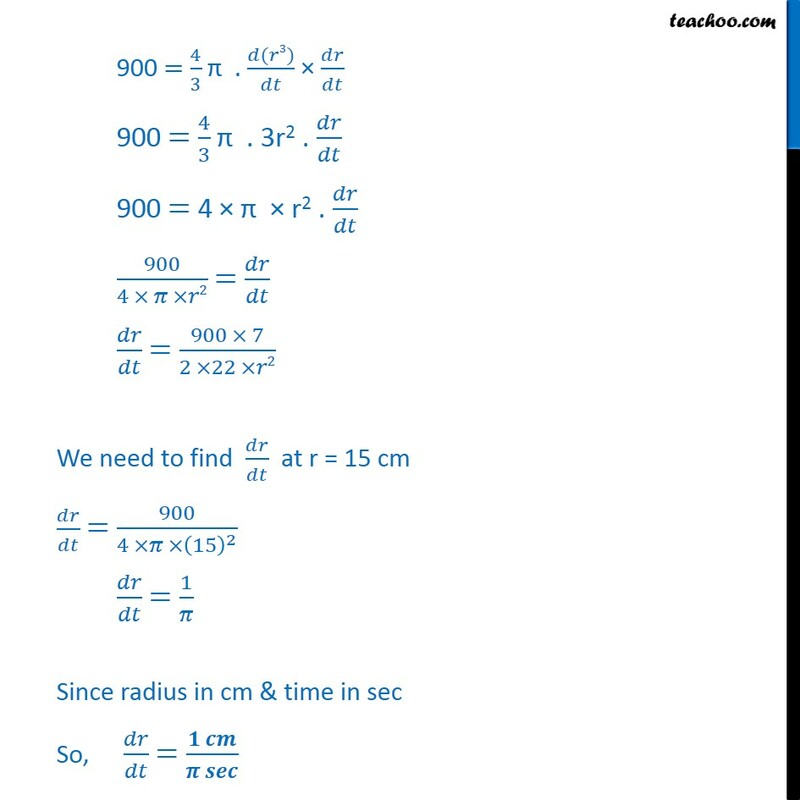 900 4 2 = = 900 7 2 22 2 We need to find at r = 15 cm = 900 4 15 2 = 1 Since radius in cm & time in sec So,	= Hence ,the radius of the balloon is increasing at the rate of 1 cm/sec when r = 15 cm.